How Pursuing Understanding Inspired A New Business. Over ten years ago, my mom was making totes out of used rice bags. From the beginning, she encouraged me to manufacture and sell them, but at first I wasn’t interested. I had already founded a successful consumer product business in the surf industry, and running it was taking up all of my time and energy. Furthermore, I’d already briefly explored the fashion/bag industry with my wife, and although the products we designed did well, they didn’t hold my interest. If I was going to launch a new company, I wanted it to be something more substantive, and I initially didn’t see a potential for that in an accessories business. But, all that changed when my younger brother introduced me to TOMS shoes a few years later. As a college student studying international relations, he was really passionate about the concept, and when he got his first pair he shared the theory behind the ‘buy one, give one’ initiative with me. I realized I could implement their model by giving rice away to the hungry. I was always interested in homelessness and poverty. 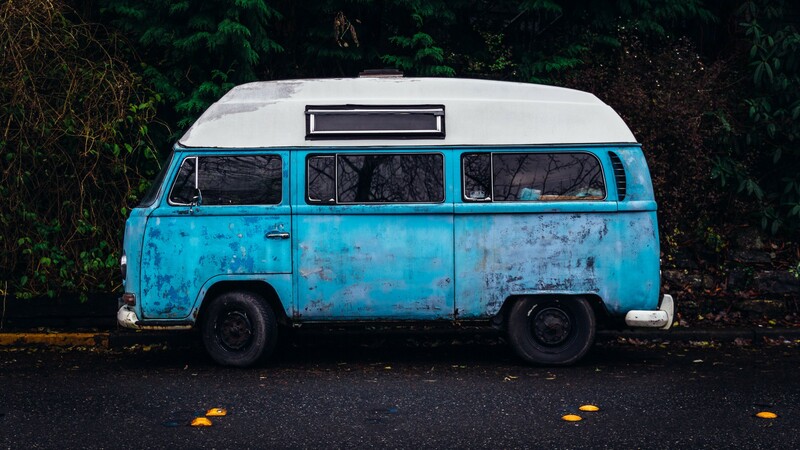 I thought it was important to try to understand the perspectives of unhoused and impoverished people in order to recognize their needs and help them more effectively. I believe so strongly in this that I spent 24 hours begging on the streets of urban Honolulu, before sleeping in a gutter that night. Another time, I spent the night in a dumpster in San Diego. Meanwhile, I tried to find the areas of greatest need around the world, to learn where I should target my initial efforts. After doing some research, I learned that there are more people affected by starvation in India than in any other country (about 200 million). I decided to start donating rice to needy families there, then repurpose the leftover rice bags into totes and backpacks that could be sold to fund the giving. I got really excited about the concept, and tried to connect with rice brands in India to purchase rice and get the process going. But, none of them returned my messages. As a result, I shelved the idea for almost ten years. Luckily, I had more than enough on my plate to keep me busy. I had recently gotten married, and my wife and I wanted to buy a house in Hawaii and put down some roots. So, I started working for Brigham Young University- Hawaii, and stayed there for six years, eventually working my way up to becoming Director of the Alumni Relations Department. Still, the idea for Rice Love remained at the back of my mind, and when the university hosted a business competition in 2014, I teamed up with Coney, one of my student employees, and submitted it. Coney and I won first place in the contest, and Rice Love finally became a reality. Together, we tweaked the original plans into a practical business, and used the prize money to get started. Eight months later, I quit my job to work on Rice Love full-time, and I haven’t looked back since. Having worked in alumni relations, I know how important it is for people to be able to see where their donations go, and to see that they are being used well. It was easy for me to transfer this concept over to our customers. 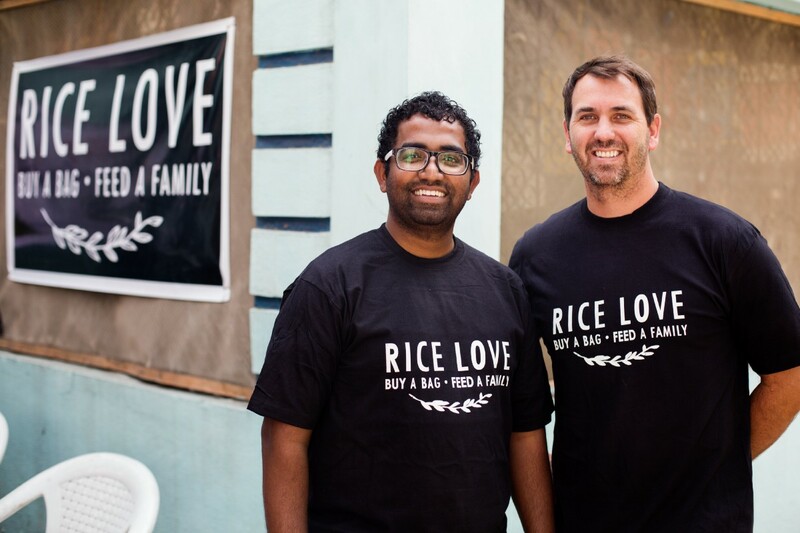 We have been giving back from the moment we made our first sale, and to date we’ve donated and to date we’ve donated over 6,000 lbs of rice- over 33,000 meals. This is something we are very proud of. But, we are even more proud of the fact that despite being a for-profit private business, we provide full transparency on our giving. We believe in showing the proof. Unlike many other give-back brands, we take a photo and collect the story of every family we give to. 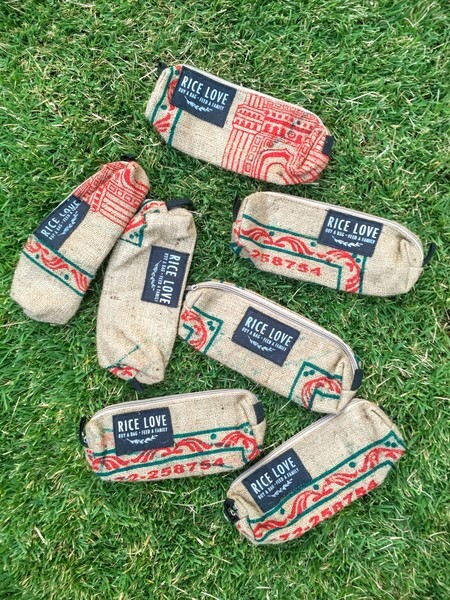 Every item sold comes with a unique tag number that can be used to look up the family a customer helped feed on ricelove.org. This provides that special moment when customers get to see the profound impact they’ve really had on a family’s life. My hope is that people recognize that our approach pays off as word spreads, and consumers see that what we are doing is different…that it takes more time, more cost, more effort, more care, and more love. As we come across challenges, I hope to reach out to the COMMON community to come up with solutions. Most of all, I hope that the community can help spread awareness for what we are doing. We hope to collaborate with others to build businesses together that change the world. 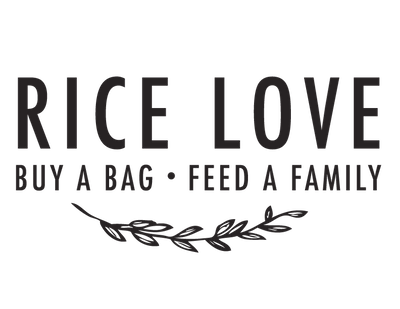 Visit the Rice Love Website. Follow Rice Love on Twitter, Instagram, and Facebook. Learn More About The COMMON Community.